The Pittsburgh-based Remake Learning network announced today microgrants to 66 educational projects benefitting students throughout Western Pennsylvania. A total of$400,000 will be granted in amounts of $2,500 and $7,500 to fund a wide range of creative learning projects. Technology has changed at a quicksilver pace in the years since Remake Learning launched in 2007 — the same year the iPhone debuted. The organization aims to ensure that all students will be prepared for the rapidly changing world they will inherit. “Educators really felt they needed more support in this changing societal landscape to support their students,” says Sunanna Chand, the director of Remake Learning, a broad collaborative group of innovators, educators and advocates who encourage the development of new ideas in learning. Remake Learning is awarding these micro-grants, funded by The Grable Foundation, to recipients including a program called #LarimerAlive from Drafting Dreams, which will enlist students to serve as design consultants in the Pittsburgh neighborhood, and A Grand View of Learning from Highlands School District, which will send students on global field trips using virtual reality technology. The grants are designed to help students in areas or school districts that are currently underserved. While applicants were asked to focus on those underserved communities, there are no limitations on how the grants are used. 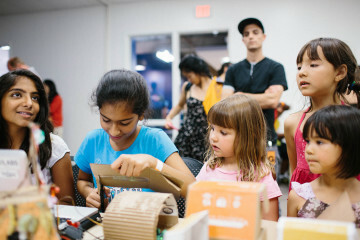 Creativity and out-of-the-box thinking are encouraged, as is the creation of “maker spaces,” which Chand admits means different things to varying organizations. 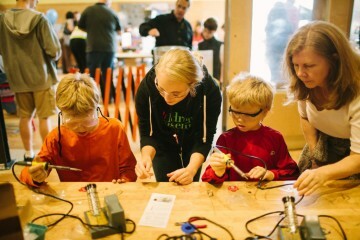 But the broader concept of maker spaces, which can be hand­s-on building experiences or complex virtual reality immersions, is a key approach. Once the funds are given, there are no reporting requirements. And “success” is not required. Remake Learning wants grant awardees to take chances in order to find better ways of reaching and teaching students. My voice. My goals. My needs from A+ Schools: TeenBloc students will interview their peers and create videos and podcasts that illuminate their peers’ goals, the barriers they face in reaching those goals and targeted support they identify needing to reach their goals. Learning in Motion from Attack Theatre: Attack Theatre will work with pre-K and kindergarten students at the Western Pennsylvania School for the Deaf exploring non-verbal physical expression of dance and kinesthetic problem-solving in a safe and creative play-based learning environment. 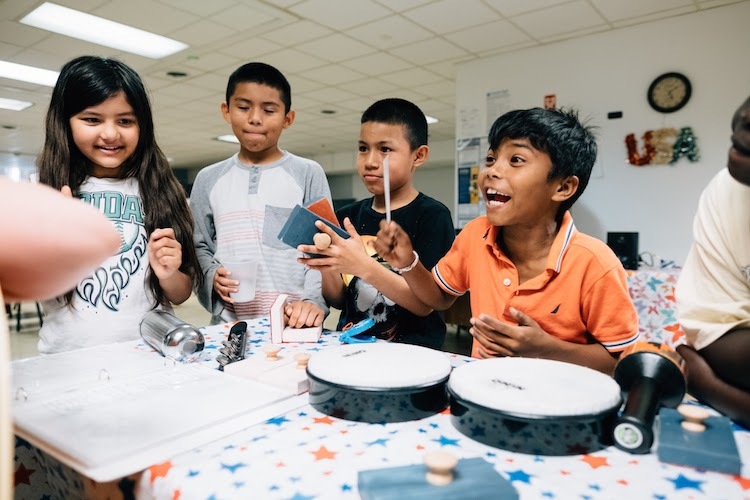 SHURI Maker Space from Boys and Girls Clubs Western Pennsylvania: The Scientific Hub for Understanding Remaking and Innovating will be a themed maker space designed to excite elementary and middle school students by introducing them to the world of robotics. Project Hand-Trash Cans in Allentown from Brashear Association: The Project HAND Trash Initiative connects youth with neighbors and experts to solve community issues, and empowers youth to become civic and environmental stewards. Youth Media Advocacy Project from Carlow University: YMAP is a partnership between Carlow University and SLB Radio that works with students in a variety of in-school and out-of-school settings to identify and analyze problems (in their schools, school systems and community), and then create media to advocate for changes to address the problems. Lemonade Stand Camp from FlowerHouse: At FlowerHouse Wilkinsburg, this day camp will teach middle school students about entrepreneurship by walking them through the steps to create a lemonade stand. Make [email protected] Studio Sto-Rox from Focus on Renewal: Teen Studio Sto-Rox is an out-of-school time program for teens in the Sto-Rox communities where students can learn about social justice, digital literacy, culinary arts, making and/or dance.